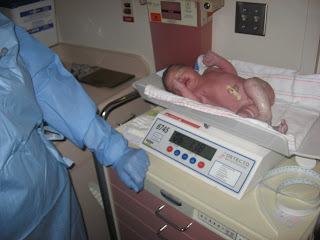 Baby Zoe Humbert was born today June 4th, 2008 at 4:04 AM, with a total weight of 6 pounds and 12 ounces. 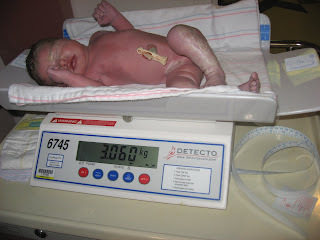 She is 20 and 1/2 inches long and has a full head of dark brown hair. After a full night of no sleep and awesome pain killers Holly (yes this is Ryan Posting) was able to go from admittance to pushing in a little under 4 hours. We are both very excited to get to know our little baby and we hope you enjoy the awesome photography skills of both the nurses and I :). Take a look! Sorry for such a short post, we both are just so very exhausted and busy at the moment. Stay posted for some very fun and much needed updates! AAAaah! So exciting! Holly, it was just yesterday that you told me no baby yet! I am so excited for you!! She's just perfect! Well, you guys are beautiful. I'm so happy for you. Congratulations! I can't wait to meet my little niece! Congrats you two! This is such an exciting time in your lives. Enjoy it! Yeah! Baby Zoe is here!! We can't wait to meet her in a few weeks!!! Maybe, she will inspire her cousin Luke to say his first word -- "baby." Holly, I'm sure you're happy to have your body back!!! Enjoy that sweet little one!! I'm so excited for you both! She is so sweet! 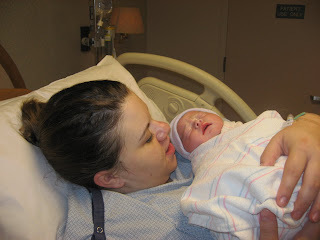 You will wonder what you ever did before you had your wonderful baby! Good luck, we love you! Wow! What a happy family! 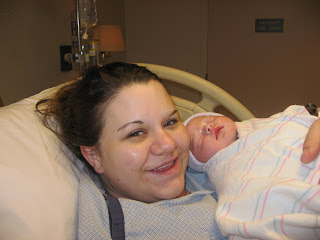 She looks absolutely perfect you two, and she has way more hair than Ethan :)! We can't wait to see her in person! Is she just the cutest little thing or what? I am so excited to see her! Congratulations to you both! Now you have a cute little baby to inhabit the cute little room that you've made for her. I'm so happy for you! So much better out than in!!! 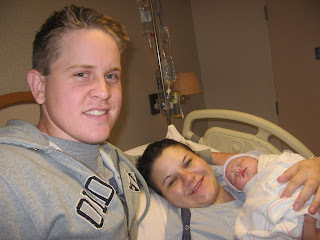 Congratulations on a beautiful baby! Such a good looking family! We can't wait to meet her! you couldn't have waited two more weeks for the favorite uncle to get into town?? HAHA congratulations guys! see you next in a week! Congratulations Holly and Ryan.... and welcome to the world Miss Zoe!